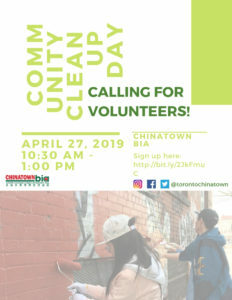 4.27 Community Clean-up Day Volunteers Wanted! Hello Everyone! It is the annual Community Clean-Up Day! April 27, 2019 (Saturday) from 10:30 am to 1:00 pm. 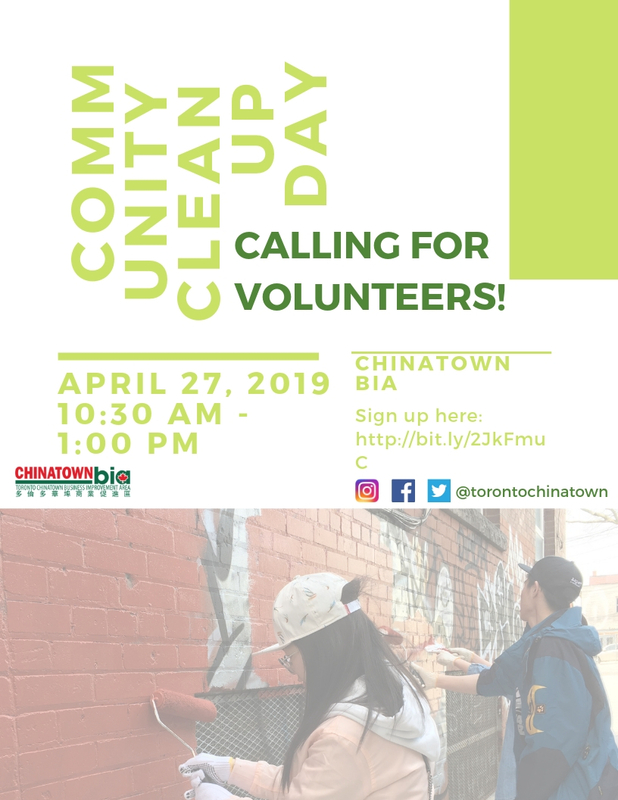 Sign up here: http://bit.ly/2JkFmuC Come helps us to make Chinatown BIA a clean neighborhood Stay tuned for more updates! Meet up location is to be confirmed! Volunteer Wanted for 2019 Toronto Chinese New Year Celebration! 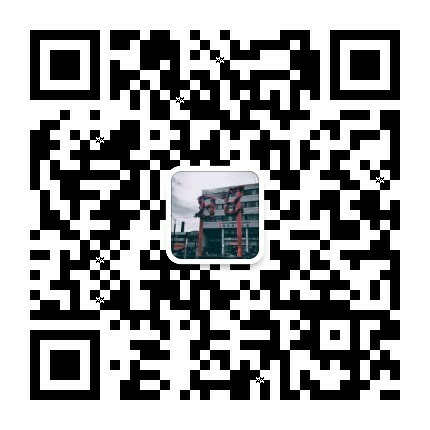 Looking for Event Management Team! We are looking for Event Management Team for the 2019 Chinese New Year Celebration Event! Volunteer Wanted for 2018 Toronto Chinatown Festival! Call for Volunteers in Community Clean Up Day!